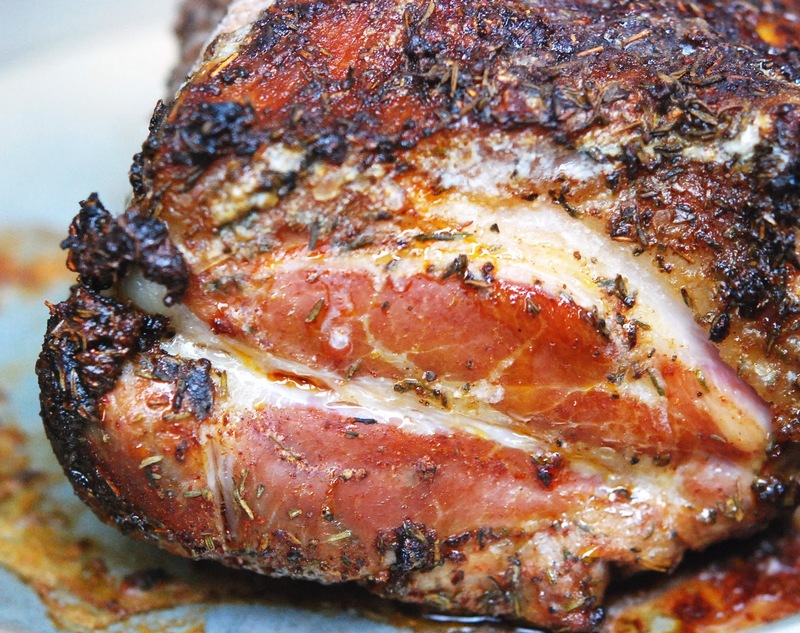 Tasso ham is made from a pork shoulder cut, which is why it is not in principle a ham. Ham is made from the hind leg of a pig. I can’t say how much this recipe tastes like the Tasso I had at 2 Sparrows this past week and once you have Tasso you’ll have a hard time going back to ordinary ham. This “ham” has so much flavor and the longer that you smoke it, the better it is. I used very slow, low heat and smoked it for 12 hours. The second time I made this Tasso however, I cheated and used William Sonoma’s citrus brine and stuck it in the refrigerator for 5 days then used this rub to smoke it for 3 hours and finished it off in the slow cooker. So delicious I’m addicted and have gone to hog heaven…that is until something else takes its place next week. Smoke at 200 to 225 degrees F (95 to 110 degrees C) for12 hours, or until internal pork temperature reaches 160 degrees F (70 degrees C).